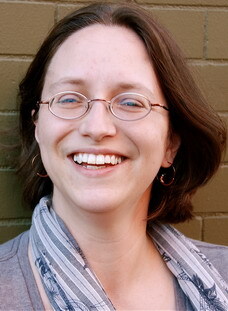 DeAnna Knippling is a freelance writer, editor, and book designer living in Colorado. She started out as a farm girl in the middle of South Dakota, went to school in Vermillion, SD, then gravitated through Iowa to Colorado, where she lives with her husband and daughter. Some of her fondest childhood memories are of putting together haunted houses in the basement of her grandparents’ house with her cousins, and taking flying leaps off haystacks and silage piles in the middle of winter with her brother. She was in charge of coming up with the “let’s pretend” ideas when they were kids, at least in theory. But then no plan survives contact with the enemy. She now writes science fiction, fantasy, horror, crime, and mystery for adults under her own name; adventurous and weird fiction for middle-grade (8-12 year old) kids under the pseudonym De Kenyon; and various thriller and suspense fiction for her ghostwriting clients under various and non-disclosable names. Her latest book, Alice’s Adventures in Underland: The Queen of Stilled Hearts, combines two of her favorite topics–zombies and Lewis Carroll. It’s the story of a tame zombie who told a little girl named Alice a story that got them both in more trouble than they could handle. Her short fiction has appeared in Black Static, Penumbra, Crossed Genres, Three-Lobed Burning Eye, and more. Her website and blog are at www.WonderlandPress.com. You can also find her on Facebook and Twitter. And custom services including ebook and print interior and cover design, editing, and ghostwriting. Wonderland Press is owned and run by me, DeAnna Knippling. I have two main names that I write under: DeAnna Knippling (adults) and De Kenyon (kids). I am a freelance writer, editor, book/cover designer, and publisher. I live in Littleton, Colorado, but am from South Dakota. 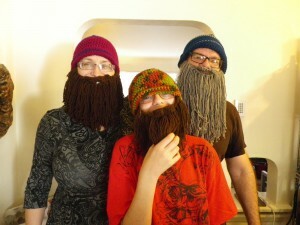 Yes, I am probably related to any other Knippling you have ever met. Just tell me how I can contact you directly. I don’t want to read this stuff. Understood. Email me at publisher ***at*** wonderlandpress ***dot*** com. I want to find more of your stories. Where are they? What’s going on here? Are you a publisher or a writer or what? I want to find out more about you. I want to friend you on social media. I like to support writers. How can I help? I want to find more of your stories. Where are they? You can find my work on Amazon/Kindle, B&N/Nook, Kobo, Smashwords, iBooks, Goodreads, and more. What’s going on here? Are you a publisher or a writer or what? I’m a writer and former technical editor. When I started to self-publish, I discovered it was easier and less paperwork to set up as a publisher, and so now I am, among other things, a Very Small Press with only one writer I publish (me) under a couple of different pen names. I want to find out more about you. Follow me on Facebook; that’s where I am, usually. If you need a bio or a media kit for something, email me directly at publisher ***at*** wonderlandpress ***dot*** com and I’ll cough one up. I want to friend you on social media. I use Twitter and Facebook on a regular basis, and I welcome new followers. I like to support writers. How can I help? First, bless you. Second, I have a Patreon account. Third, buy one of my books–wherever is most convenient for you, or most fits with your values. Fourth, say my name five times while facing a mirror in a darkened room and I’ll appear directly behind you for five minutes. Don’t turn around, whatever you do. I can keep talking about trivia for hours. What is your discount/shipping policy for your paperback titles? How can I contact you? Email me at publisher ***at*** wonderlandpress ***dot*** com. What is your discount/shipping policy for your paperback titles? 2-4 assorted books, 40% discount + shipping. 5-9 assorted books, 45% discount + shipping. 10 or more assorted books, 50% discount, free domestic U.S. shipping. Librarians and other people who work with kids. Will you talk at my library/school/workshop/conference, etc? Do you donate books? On a case-by-case basis, yes. If you want 5 books or fewer and live in the U.S., I have a budget for that. Email me at publisher ***at*** wonderlandpress ***dot*** com. Will you talk at my library/school/workshop/conference, etc.? If you are in the Colorado area and this is for a library or something related to children, probably. Otherwise it depends. Email me at publisher ***at*** wonderlandpress ***dot*** com. Will you talk at my writers’ group/conference? How can I become a freelancer/indie publisher? Wanna swap/join promotions or blogs? Are you taking submissions? Nope. Will you review my book? Nope. Will you talk at my writers’ group/conference? I like talking to people. Couldn’t hurt to ask. Email me at publisher ***at*** wonderlandpress ***dot*** com. How can I become a freelancer/indie publisher? That’s a bigger topic than I can cover. Please start at Nolo.com. Wanna swap/join promotions or blog? Sure! Uh…I mean, probably. Email me at publisher ***at*** wonderlandpress ***dot*** com. I do blogs and I can be talked into hosting blogs…for writers. I don’t host blogs that are for companies or products at this time. I don’t write free blogs unless I’m primarily promoting my own work. People who are thinking about hiring me. I don’t want to hire you. I’m a freelancer and I’m looking for work. Do you have any extra? What do you do? I ghostwrite fiction. To a lesser extent, I also edit and design books covers and interiors. How much do you charge? I’m at 5c/word for ghosting, and $50/hour on everything else. There are extra charges for the extras. Can I see samples? Yes. Email me at publisher ***at*** wonderlandpress ***dot*** com with a description of what you want me to work on, and I’ll put together a set of relevant samples for that project. How do I hire you? Email me at publisher ***at*** wonderlandpres ***dot*** com. We will discuss what you want, I will ask you for a sample to edit or write a sample for ghosting, you get to review that as well as any other samples that might be relevant, I write up a Statement of Work (a brief contract) with dates and expectations, you offer any changes, we both sign, and I’m on it. I don’t want to hire you. I’m a freelancer and I’m looking for work. Do you have any extra? I have no additional work for freelancers at this time. I am willing to answer any five-minute questions, though. Email me at publisher ***at*** wonderlandpres ***dot*** com. I really enjoyed your site. I read the first chapter of you book and now have to visit Amazon to see how it turns out. I have two nieces that will really like the Tales Told Under The Covers. You caught my attention for obvious reasons. Are you part of the Kenyon family or is this a pen name? I notice that you go by Knippling as well. I am a Kenyon genealogist when I am not working or writing. Just curious. Wonderful work. I look forward to reading more.